So… Today is the day. I am starting April off with savings, monthly meal preparations and hopefully more savings. This is my freezer, half way through the prep. I Basically took the recipes we always use, threw in some new ones, made a major shopping list for everything and had it all delivered yesterday. About $250 for four weeks of dinners for my little family of 5. I then went shopping at my other fave store with my cartwheel and got the things I need for cleaning, laundry, and the dairy things you gotta get here and there. My kids love milk so that’s always being bought and used a lot. It’s just not so great to stock up on. 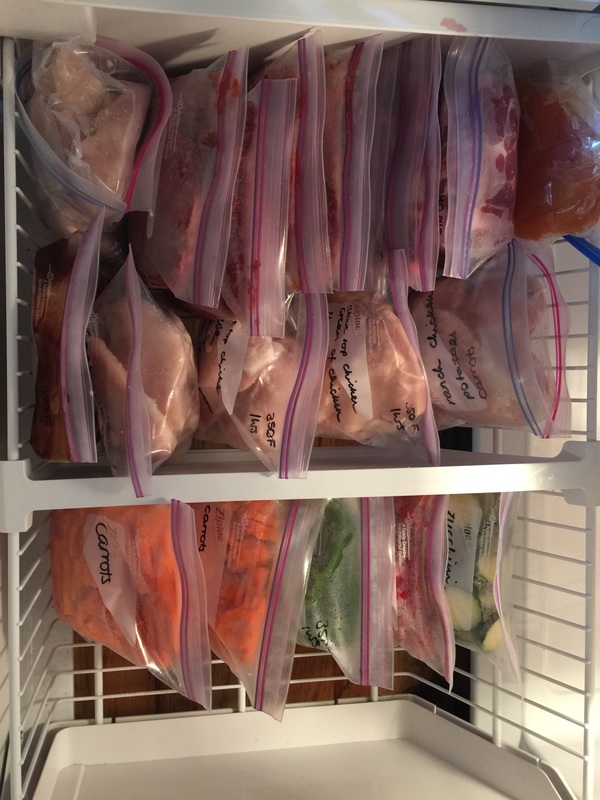 This morning I went through the recipes and food, prepared it all, put it in the freezer bags and wrote on them what needs to be added, cook time…. And off it went into the freezer.